LobePro - BBC Pump and Equipment Company, Inc.
LobePro Rotary Pumps currently manufactures 13 models of positive displacement rotary lobe pumps. LobePro’s rotary lobe pumps are typically used to pump sludge to and from thickeners, separators (such as belt presses, centrifuges, and rotary presses), digesters, and clarifiers. They are in fact suitable for pumping any wastewater treatment plant sludge once hard solids over 1/8” and grit are removed. LobePro can provide an in-line grinder, filter or knock-out tank to remove hard solids larger than 1/8″ if necessary. LobePro pumps are also used in oil and gas applications: pumping drilling fluid, feeding decanting centrifuges, booster pumps in pipelines for oil containing abrasives and waste oil, and pumping jet fuel and diesel from tanks requiring a suction lift. 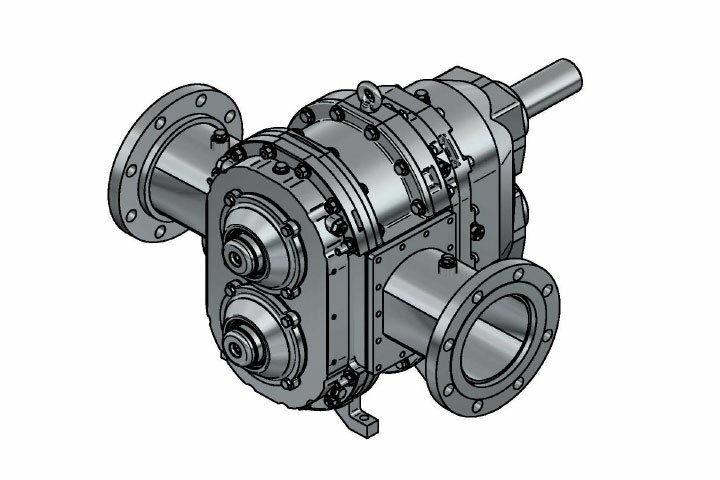 The API-Series pump complies with API 676 with a seal exception. LobePro manufactures an oil lubricated cartridge seal which is long lasting, leak free, and proven in many harsh applications.